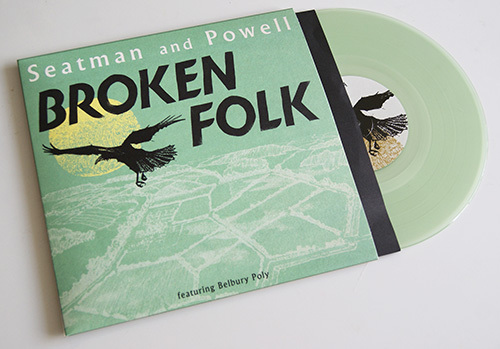 Available now, exclusively from the Belbury Music Shop , Broken Folk, a 10″ EP by Seatman and Powell featuring Belbury Poly. The second in a series of limited records made in association with Belbury Music and a variety of associated artists and labels. 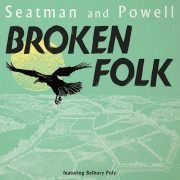 It’s a five track EP of collaborations with folk singer Douglas E. Powell selected from Keith Seatman’s last two albums. It opens with a remix of the title track Broken Folk by Ghost Box veterans, Belbury Poly. Melancholic and subtly psychedelic, these songs are redolent of supernatural short stories and winter afternoons out on English landscapes. In these dark rustic reveries, Seatman builds a dense collage of electronics, fragmented melody and found sound, around which Powell weaves his dreamlike lyrics. 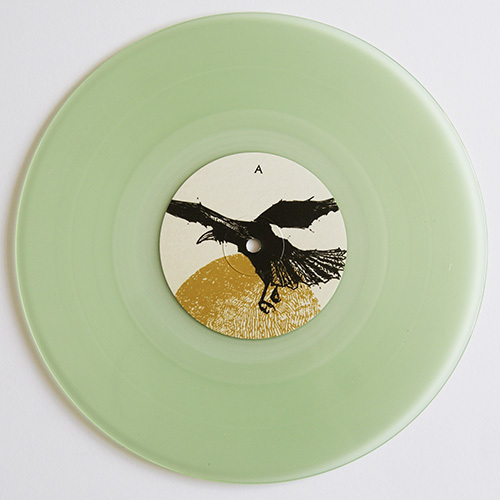 The 10” is pressed on translucent green vinyl with sleeve art by Belbury Poly’s Jim Jupp. It’s released on Seatman’s own label KS Audio and is the second record produced in association with Belbury Music. Ghost Box is a record label for a group of artists exploring the misremembered musical history of a parallel world. See what the press have to say about Ghost Box.